I've tried it, but you need to either have in-ears or really good monitors. I prefer to keep bass out of monitors because it muddies the vocals a bit, and ya know who's the first to complain about that! I prefer to have an amp, I find it's also better for the drummer to hear me. Rob Burns in Otago has one. I had one in the early 90s, but I didn't like it. I bought it new from the RS. I couldn't get the "sound" so I went back to a Fender Jazz. Much better. Yeah, let me know. My cell is 021 470 205. There's a lovely Eminence on TM at the moment for $2K, a fraction of the cost of a new one. I've heard it, and it sounds great. I'd buy it myself if I hadn't just bought a new amp. Hello. My name is Marty and I'm an amp addi.... ad.... I like amps that work proper-like with upright bass. Here's my just arrived Handbox R-400 amp. 400 watts, class A/B, handwired with three preamp tubes, weighs 10.5kg. Made in Poland, and the componentry is top-shelf! 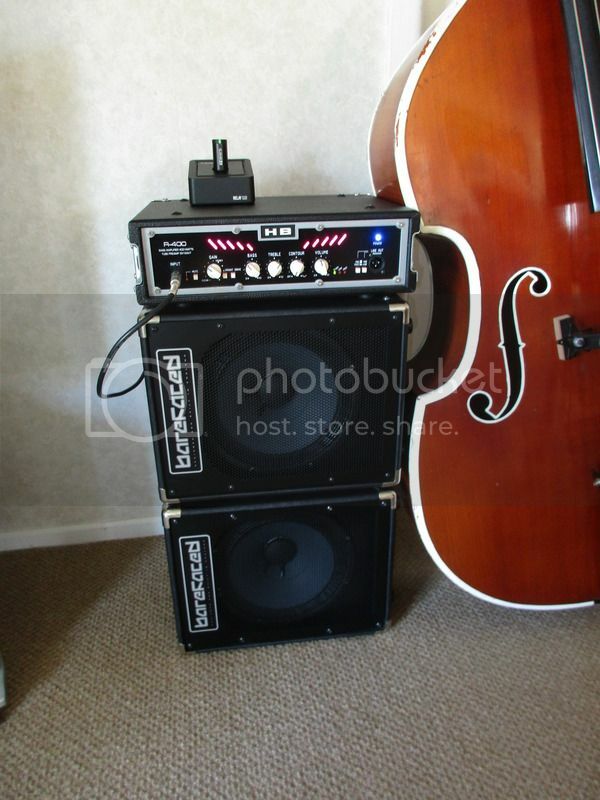 Topic: BASS / AMP PICTURE THREAD :: Get your cameras ready! Re: BASS / AMP PICTURE THREAD :: Get your cameras ready! Bronzet, that's very cool. The three knob Rays sound way better than the later four knob ones. The best bass I ever heard in my life was a three knob Ray with black tapewound strings. If it had of been for sale I would have sold my children to buy it. So are we getting a Barefaced 4x10 review, or what?